As a small business owner, investing in the right search engine optimization (SEO) strategies can be the difference between a well-known, successful business and one that’s floundering. SEO is a vital digital marketing skill in the modern business landscape. SEO isn’t just for big corporations or organisations. As a small or local business, there is actually a lot you can do yourself to get good results from search engines. This beginners guide to SEO for small businesses will help you get the most out of search engines like Google, Bing, and Yahoo. SEO stands for “Search Engine Optimization”. It is a marketing discipline focused on getting website traffic and visibility from free and organic search engine results. SEO encompasses both the technical and creative elements required to improve rankings, drive traffic, and increase awareness in search engines. All major search engines such as Google, Bing, and Yahoo have primary search results, where web pages and other content such as videos or local listings are shown and ranked based on what the search engine considers most relevant to users. Also Read: 10 Free And Amazing Growth Hacking Tools For Small Business. Benefits of SEO for Businesses? Every business needs to invest in Search Engine Optimization (SEO). Compared to other forms of digital marketing, SEO marketing is a cheap, effective and scalable way for businesses to generate more leads and revenue. 78% of online buying decisions start by conducting a search on search engine. There are over 2 billion people on the internet with 40,000 searches every second, and 3.5 billion searches per day. There are 40,000 searches every second, and 3.5 billion searches per day. This is a very big opportunity for your business to be found online. SEO also helps build brand awareness for your business as search engine users are more likely to trust a site that is on the first page of search engine results pages than brands who are not. If you’re a small business owner, you should utilise SEO to build a strong web presence and bypass your competitions to gain new customers for your business and take it to the next level. 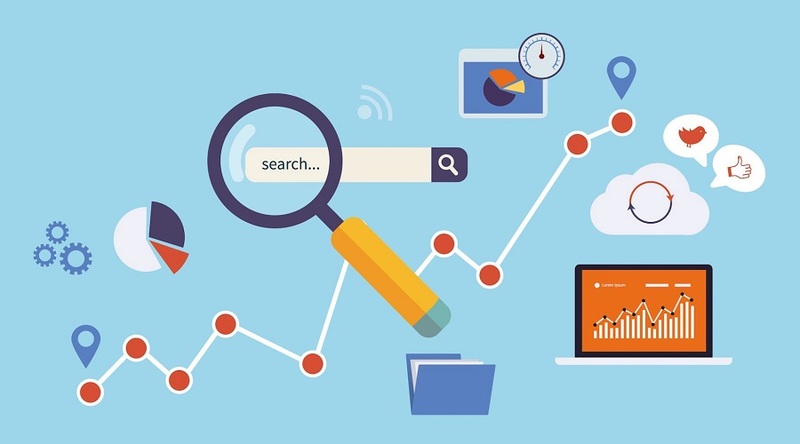 Basic SEO Tips for Small Businesses. 1. Quality Over Quantity is Key. Quality is always more important than quantity when it comes to your efforts with SEO as a small business. Quality work across your title tags, meta descriptions, blogging efforts, image naming etc. SEO is like the bait in the water that attracts the fish. If you write engaging content that’s designed to inform your reader and get them excited about your product or service, they’ll be hooked, and you can start to reel them in. Give away valuable information. The more you do, the better you’ll rank for the topics surrounding your business not just the keywords. Also Read: Why Your Small Business Needs To Start Blogging. As mentioned in the first tip above, quality over quantity is the key to any successful link building initiative. Google has updated their algorithm numerous times over the past few years and a strong focus has been on the quality of a website’s backlink profile. Gone are the days that you can build a thousand random links back to your website and see yourself shoot up to the top of the search results. It is better to build links from authoritative resources with quality content. That will mean fewer links, but you will enjoy long-term success. 3. Build a mobile-first website. In Africa, 75% of search activities are done using mobile phones. If your website isn’t optimized for mobile devices, then your mobile search engine ranking is likely to take a hit. Remember that Google’s algorithm is tuned to connect people with sites that offer good user experiences. A site that’s not optimized for mobile won’t display correctly and may not even function as intended. WordPress and other online publishing tools offer free website templates that are ready for mobile users. So you’re probably in good shape if you use this kind of platform. 4. Link internally across your website. Internal links aren’t as valuable to your SEO as external links, but they are still important to your overall optimization. To best utilize internal linking, simply link to two to three pieces of related content on your website to build a sophisticated structure of links across your website. The goal isn’t to link every piece of content back to your homepage, but instead to create a hierarchy of pages that link to one another in different levels. A great way to keep content fresh is to use social media to get your quality contents out there. A short, daily Tweet or Facebook post related to your target keywords will work wonders. Not only will search engine algorithms take note, but you’ll be attracting the millions of social media users who may be interested in your business. Pick three to four social networks, in conjunction with Google+, where your customers are active or groups where your customers are active and actively share your contents from time to time. 6. Create a Google My Business Account. Think about how many people use their smartphones to find nearby places to eat, shop and run errands. Creating a Google My Business profile allows your business to be shown in the local business directory or maps results. If your business has walk-in customers, then that’s a big deal. You can get an influx of new customers from the few minutes needed to start a Google My Business profile. Reviews are helpful for small business SEO especially when they’re positive. Always ask your customers if they’ll post reviews to your Google My Business page or any other online review sites you’ve joined. Also Read: Awesome Free Tools & Resources for Small Business Owners. 7. Make use of the right SEO tools. a. Google Search Console: Also known as Google Webmasters Tool helps your business get discovered on Google. By using Search Console, you can ensure your site is reachable on Google and use data to find out which products are the most successful on your site. b. Google Analytics: Google Analytics is a valuable tool that provides in-depth data on how your website is doing. Analyze things like page views, unique page views, how users are reaching your site and information on your audience. c. MOZ Pro: Moz Pro is a solid all-around SEO tool that covers most bases you could want to be covered. Essentially, it’s a number of different tools all bundled together. These include Keyword Explorer, which creates targeted keyword suggestions and predicts search volume, and Site Crawl, which continually audits your site and alerts you to any technical issues that might keep your site from getting properly indexed by search engines. d. SEM Rush: SEMRush provides analytics tools, social media reporting and SEO information about your website. It builds in competitor analytics as well and can be used for keyword research and analyzing backlinks. e. SEOptimer: SEOptimer is a free and online website review and SEO audit tool. Seoptimer analyzes your website by checking the most important on-page SEO factors. In result, you get clear SEO report with best optimization tips. f. Yoast: Yoast is a free SEO plugin that you can use on your WordPress site. It provides business owners with real-time content analysis and helps you optimize your WordPress site easily. g. Keywords Tool: Keyword research is a necessary aspect of every small business SEO campaign. With this handy tool, you can get keyword ideas from Google to Fiverr to help you understand which keywords to target and/or topics to create content around. However, SEO isn’t something that you can ‘set and forget’. It takes careful planning and ongoing efforts to remain effective. Don’t be too reliant on SEO and search engines for your website traffic. Being too reliant on search makes your business vulnerable to the whims of Google’s algorithm changes. A simple change in the algorithm can make you lose all your page rankings. Hence, always keep an eye on new SEO developments as this will help you to maintain your rankings.